Chakrata is a cantonment town in Dehradun district in the state of Uttarakhand, India. It is between the Tons and Yamuna rivers, at an elevation of 7000–7250 feet, 98 km from state capital, Dehradun; it was originally a cantonment of the British Indian Army. Due west lies Himachal Pradesh, and due east are Mussoorie (73 km), Garhwal. The area is known as Jaunsar-Bawar, which has a marked presence in few surrounding villages. 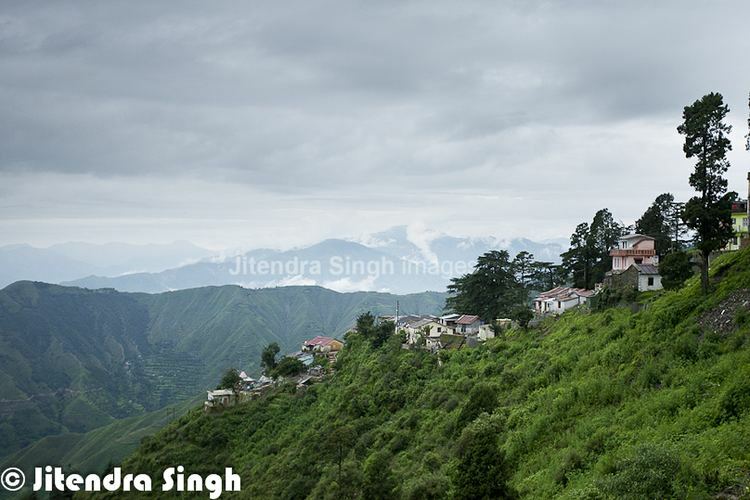 In 1901, Chakrata Tehsil was part of the Dehradun district, of United Provinces, with a collective population of 51,101, which consisted of the towns of Chakrata (population 1250) and Kalsi, with a population of 760, which is most known for the rock edict of the Mauryan king Ashoka 2nd century BC, first discovered by John Forest, in 1860. A cantonment of British Indian Army, was established in 1866 by Colonel Hume of the 55th Regiment, British Indian Army, and the troops and officers first occupied the cantonment in April 1869. Chakrata is an access-restricted military cantonment, and foreigners face severe restrictions in visiting. Notably, it is the permanent garrison of the secretive and elite Special Frontier Force, also known as 'Establishment 22' (called "Two-Two"), the only ethnic Tibetan unit of the Indian Army, which was raised after the Sino-India War of 1962. Weapons and survival training is also imparted by other intelligence services in Chakrata, in support of Indian foreign policy goals, especially pertaining to other countries in the Indian Subcontinent. Chakrata can be reached from Dehradun via Mussoorie or Vikasnagar. Both routes pass through beautiful mountainous roads. Traveling in the monsoon can be tricky as the area sees frequent road blockages due to landslides. Tiger Falls is one of the highest direct water fall in Uttarakhand. Tiger Falls is 20 km from Chakrata and has an elevation of 312 ft.
Budher (Moila Danda) is a picturesque meadow at an altitude of 2800 metres. The Karst landscapes of Budher are home to a network of ancient limestone caves. Kanasar is surrounded by one of the best-rated Deodar forest of Asia. About 25 km from Chakrata market on Tuini Road, the roads are not in the best shape. The meadows and giant trees more than make up for the bumpy drive. It is one of the best picnic spots near Chakrata. A forest rest house in Kanasar and some tented accommodation allows visitors to spend a night here on prior booking. 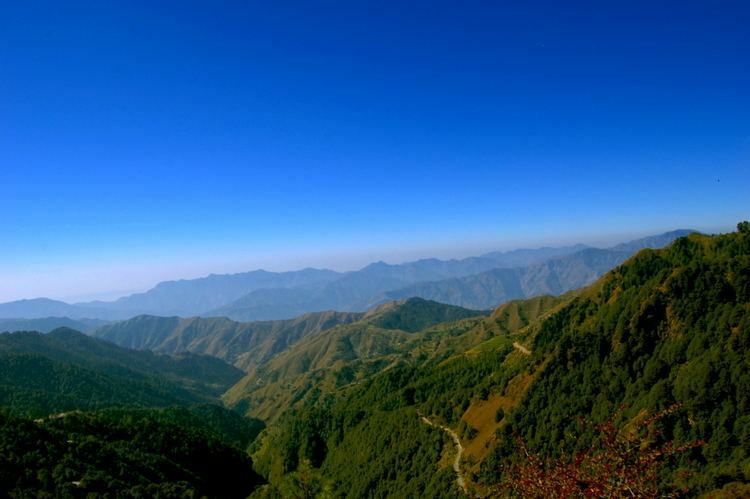 Chilmiri sunset point at 4 km from main Chakrata market is a picturesque plateau offering one of the best view of sunset. Deoban perched at about 2900 meters offer panoramic view of the Himalayas. Mundali meadows are hard to access yet hold a huge potential for winter sports. Lakhamandal is an ancient Hindu temple complex dedicated to Shiva and associated with the Pandavas. It is slightly further from Chakrata and may take almost a whole day of driving and coming back. For heritage and a long drive, this Archaeological Survey of India protected site is a must visit. Manjhgaon an ancient Hindu temple dedicated to lord shiva it's called in regional language is [Massu Devta]. It is 15 kilometres far from Chakrata market. You can take Quansi Lakamandal root from chakrata and then after 10 kilometres you will reach at dava pool. Now you can take off road driving for 5 kilometres then you will reach at Manjhgaon. It is very oldest tample in the region. Hanol is 100 km from Chakrata and is a beautiful getaway in the middle of nowhere. Those who want to explore and drive/ride nearby, Hanol is a good destination. A Garhwal Mandal Vikas Nigam Ltd. (GMVN) hotel provides basic accommodation in Hanol. Hanol has Mahasu Devta Temple dedicated to Lord Mahasu. (It is a topic of discussion that Lord Mahasu is Lord Mahashiva or Lord Ramchnadra.) Mahasu Devta is worshiped in the entire Jaunsar-babar region and is at seven places across this region like Radina, Thaina, Indroli, Lakhwar, and Lakhamandal. There are a dozen decent private hotels and some eateries. Petrol and diesel are hard to come by (for civilians) but can be obtained in small quantities from local traders. The famous hotels of chakrata are Blue Canvas Resort, Hotel Burans, Hotel Himalayan Paradise, Hotel Snow View, and Gwasa Water Valley Resort. As of 2001 India census, Chakrata had a population of 3497. Males constitute 62% of the population and females 38%. Chakrata has an average literacy rate of 75%, higher than the national average of 59.5%, with male literacy of 81% and female literacy of 65%. 12% of the population is under 6 years of age.